The lighting choices from yesterday had me drooling, but sadly none will work for our space because of our dang sloped ceilings. We need something that can be mounted at an angle but will hang vertically - so a pendant light with a flexible cord that we can shorten is probably our only option. Remember when we installed pendant lights above our sink by using an inexpensive kit from Westinghouse and glass shades from Goodwill? Those turned out great - although I think I'm going to replace the glass shades with these or these from Schoolhouse Electric which will give them a more modern feel and the bulbs might actually fit! As for the mudroom pendant light, we just might end up making our own again if we can't find an option that looks good and fits within our budget, but until we make that final decision I thought I'd share a few gorgeous options that I found while hanging out on the internet. The combination of vintage design, warm edison light bulbs and dark hardware gets me all hot and bothered - hope it tickles your fancy, as well. We're hitting the big city this weekend - Seattle/Everett, to be exact - and I plan on scouring the Restoration Hardware outlet, an architectural salvage store (or two) and anything else that tickles our fancy. Hopefully the thrifting gods will be on our side and I'll score an amazing deal and the perfect lighting - if not, it'll be back to our good ol' DIY method. What about you guys? 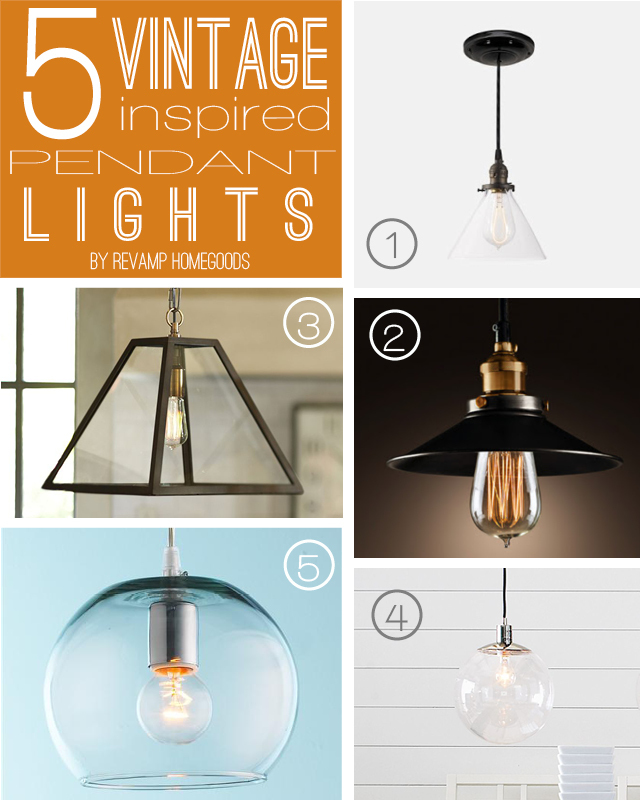 Which pendant lights have you ooing and ahhing?